Kitsap Peninsula, Washington State, is the location of Naval Base Kitsap. The base was formed in 2004 by combining the former Naval Air Station Bremerton and Naval Submarine Base Bangor. The base is centrally located near the cities of Bangor, Bremerton, Poulsbo, Suquamish, Bainbridge Island, Port Orchard and Sliverdale. My familiarity with the Pacific Northwest does not include Kitsap, so I called on a fellow military spouse, Military Town Advisor contributing writer and Kitsap aficionado, Jodi, to familiarize MBO readers with what to expect if PCS orders find you traveling to Naval Base Kitsap. She shared the following information to help make your family’s adjustment go smoothly. 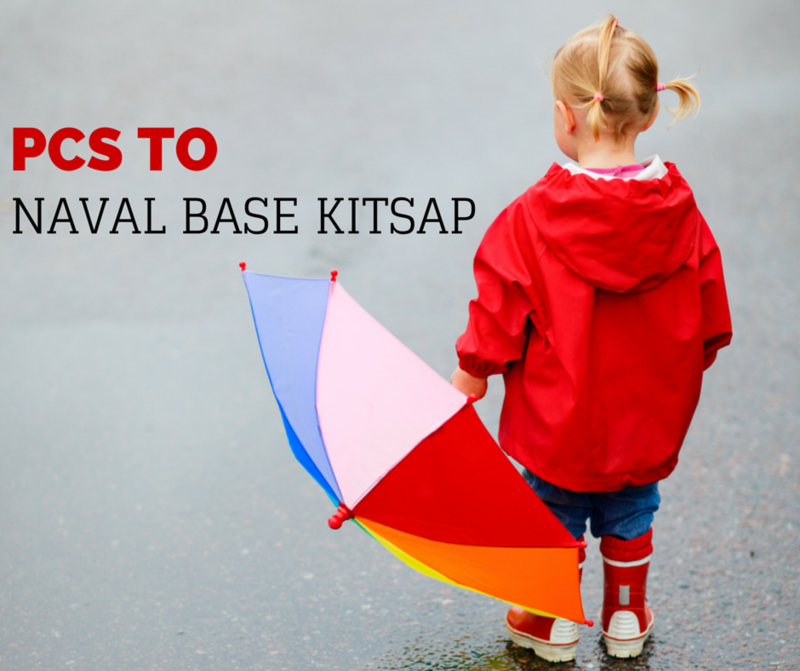 Military families stationed at Kitsap predominately live in four surrounding cities. Silverdale is the closest to the base, and is a very popular location. Poulsbo is also nearby, but the housing you encounter there will probably be more expensive. Bremerton has two distinctive areas: Bremerton and East Bremerton. East Bremerton offers affordable housing, while Bremerton is less desirable, particularly for families needing public schools. As compared to Silverdale and Poulsbo, Port Orchard offers less expensive housing options but has a further commute. Jodi does mention the housing market is very competitive due to high demand. Additionally, there is privatized on base housing to consider through Forest City Military Communities. Central Kitsap School District ranks as one of the top districts in the area. The district supports numerous elementary schools and several middle and high schools. These sought-after schools are mainly located in Silverdale, East Bremerton and portions of Bremerton. North Kitsap School District may also offer schools which appeal to military families, however, be cautious when considering schools in the South Kitsap School District. Jodi adds that there is a significant contingent of homeschool families and plenty of resources to support them. Jodi has positive comments regarding the Naval Hospital Bremerton (which is in Bremerton, and not on base). It is a desirable medical facility with convenient hours, specialty clinics, an urgent care, and pharmacy. There is a branch health clinic, Bangor, located in Silverdale. She offers this insider tip: Use the pharmacy at Bangor, as it's far less busy!. Luckily, commute times do not seem to be a significant factor for this area but be wary of afternoon traffic leaving base, as it combines with locals and workers from Stennis and Port Orchard. Also available is an easy-to-use ferry system in the area. A trip to Seattle from Bremerton is about one hour and 30 minutes less from Bainbridge Island to Seattle. The last bit of advice is regarding the weather, of course! One point is to learn the distinction between weather resistant gear and waterproof gear and bring lots of it! Although it doesn’t rain as much as its reputation might lead you to believe, it is wet often. Jodi has assembled a fantastic compilation of things to do while stationed at Kitsap while wearing your waterproof boots!